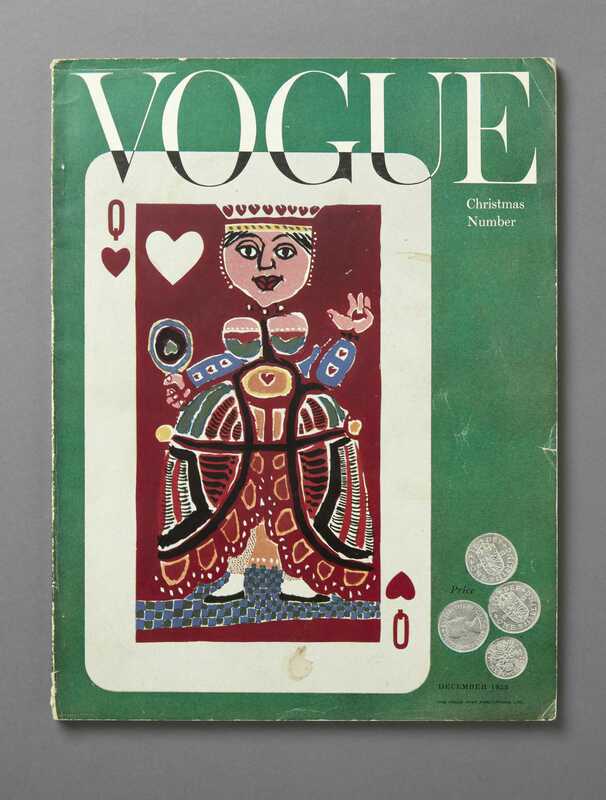 For its Christmas issue of 1953 British Vogue chose a graphic cover at a time when photographic covers were becoming more usual. It was not commissioned from scratch but used an image of a playing card designed by André Franҫois for the upmarket department store Simpson of Piccadilly. As the Queen of Hearts it is a clear reference to Queen Elizabeth’s coronation in June that year. 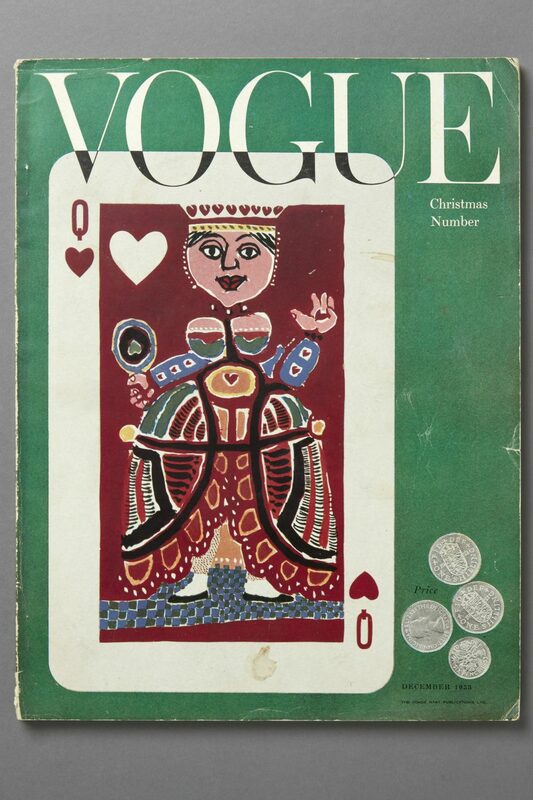 Vogue’s art department employed its typical wit and panache in merging this image with the masthead and by limiting the magazine’s price of 3/6 to its spine; on its cover it is represented by photographs of three shiny new shilling coins and a sixpenny piece, each dated 1953. The Hungarian André Franҫois, 1915-2005, was a painter, graphic artist and cartoonist. He designed many covers for The New Yorker and Punch magazines and Penguin Books – the humour that he brought to Vogue is evident in the cover of its French edition of June 1949, depicting a lily pond with a frog and dragonflies – the only small figure that of a woman, cut off above the chest.